Congratulations to tour winner Melly B. and to host winner White Sky Project. 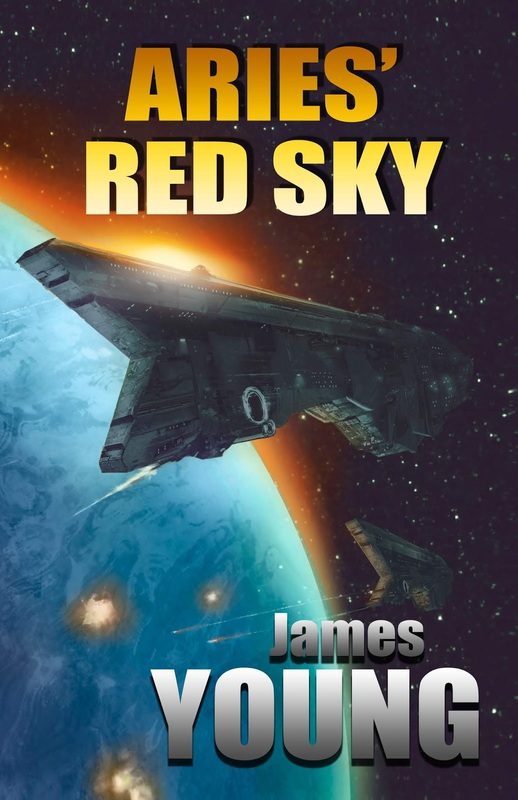 Goddess Fish Promotions is organizing a Virtual Book Blast Tour for Aries' Red Sky by James Young, a Science Fiction available July 24, 2018. The Book Blast Tour will take place on July 23 - 27, 2018. This tour will not include interviews or guest blogs; however, a blurb, excerpt and author bio will be provided to every host for inclusion on their blog. An Unedited ARC copy of the book is available in mobi or ePub for review. James Young will be awarding a 5x7 print of concept artwork from the Vergassy Universe to a randomly drawn winner via rafflecopter during the tour, and a 9x12 print of concept art from the Vergassy Universe to a randomly drawn host.